The nominations for the 91st Academy Awards were announced early Tuesday morning, with 2017 nominee Kumail Nanjiani and Golden Globe winner Tracee Ellis Ross gamely soldiering through sleep deprivation to reveal this year’s nominees via livestream from The Academy’s Samuel Goldwyn Theater in Beverly Hills, Calif., beginning at a harrowing 5:20 a.m. local time. 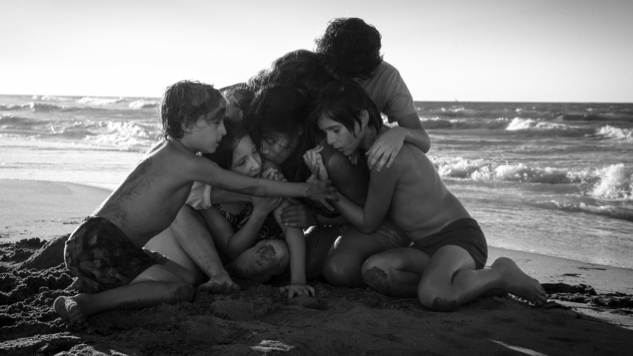 Unsurprisingly, Alfonso Cuarón’s Roma leads this year’s pack with 10 nominations, including best picture, best director and best original screenplay. Quite surprising, however, are the film’s nominations for Yalitza Aparicio, who made her breathtaking film debut as Roma’s lead actress, and Marina De Tavira, who broke through a crowded field to earn a supporting actress nomination. Also unexpected was the dominance of Yorgos Lanthimos’ The Favourite, which tied Roma’s 10 nominations, appearing in the best picture, best director (Lanthimos’ first directorial nod) and best original screenplay categories, with its three central stars—Olivia Colman, Rachel Weisz and Emma Stone—each receiving acting nominations. Further down the list are one-time lock A Star Is Born—whose director, Bradley Cooper, was excluded from the best director nominations in what will surely be one of the year’s most-discussed snubs—and the divisive Vice, both with eight nominations. Both the films’ male leads, Cooper and Christian Bale, were nominated, as were A Star Is Born’s Lady Gaga and Sam Elliott as best lead actress and best supporting actor, respectively. And yes, of course “Shallow” was nominated. All eyes were on the Academy’s reception of Black Panther and as expected, the film made history for Marvel, the first comic-book film ever to receive a best picture nomination. The Ryan Coogler superhero film was recognized in six other categories as well, including a best original song nod for “All the Stars,” as well as nominations in production design, costume design, sound mixing, sound editing and original score. Trailing behind Black Panther were Spike Lee’s BlacKkKlansman with six nominations, and Golden Globe standouts Green Book and Bohemian Rhapsody with five each. BlacKkKlansman, Green Book and Bohemian Rhapsody were each nominated for best picture, but only Lee’s BlacKkKlansman made the best director category, which, astonishingly, constitutes the Hollywood legend’s first-ever nomination for directing. And speaking of directors, not a single woman was nominated in that category—to date, only five female helmers have been recognized, with just one winner. Elsewhere among the nominees, Lee Chang-dong’s critically beloved Burning was left off the list of foreign-language film noms, Pawel Pawlikowski was a surprise best director nominee for Cold War (itself nominated for best foreign-language film), Barry Jenkins’ acclaimed If Beale Street Could Talk was left out of the best picture pack, Paul Schrader was nominated for his First Reformed (Paste’s top movie of 2018) original screenplay, and A Quiet Place was nominated for sound editing but not mixing, ensuring the ongoing confusion surrounding those categories. But what are the Oscars without a little confusion? The 91st Academy Awards presentation, held at Hollywood’s Dolby Theatre, airs live on ABC on Sunday, Feb. 24. See the complete list of nominees below.